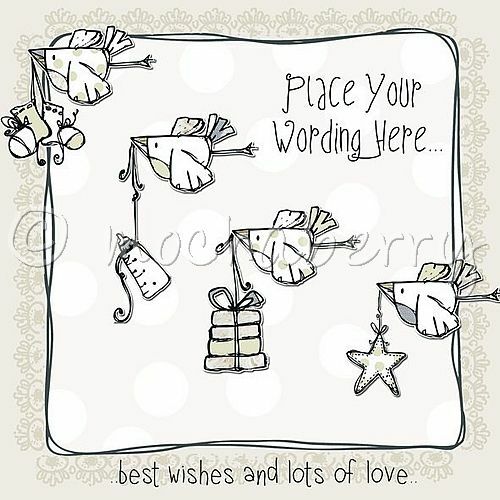 A gorgeous, cute illustration of sweet birds carrying baby presents against a background of delicate shades of brown and grey, with the words "best wishes and lots of love" underneath. Hand finished with glitter and various embellishments (not shown). suggestions for use: birth of a baby, baby shower, mum to be, someone leaving to have a baby.